First, let's start at the ending. 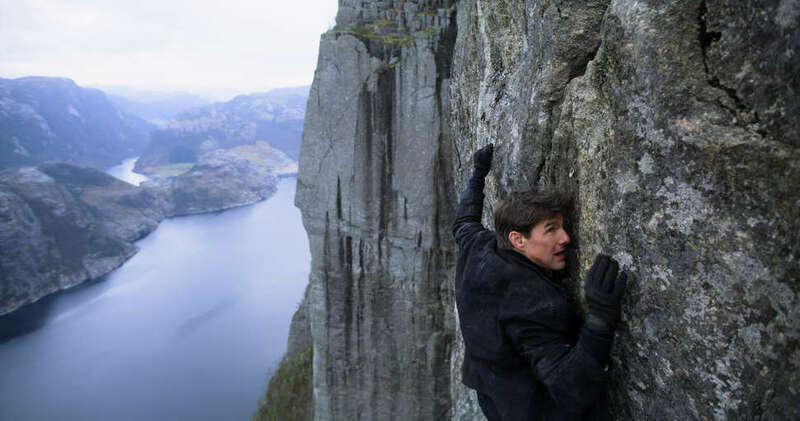 The final 25 minutes or so of Mission: Impossible - Fallout, the sixth movie in the Mission Impossible franchise, is some of the best action cinema ever put to film, full stop. We're talking Truck Chase from Raiders of the Lost Ark-level good. It starts big then just gets bigger until it smashes past all expectations. You don't know whether to gasp or laugh. (Why even choose?) Tom Cruise's Ethan Hunt will not only save the world, he'll do it in the most ridiculously dangerous and flamboyant way possible, with a lot of glass flying all over the place. Fallout isn't perfect. The lulls in between action set pieces are dangerous, but writer-director Christopher McQuarrie wisely peppers them with goofs from Benji (Simon Pegg) and Luther (Ving Rhames). Ilsa Faust (Rebecca Ferguson) is back, too, with abundant charisma, and newcomer August Walker (Henry Cavill) looks great in his larger-than-life mustache, despite there being something eerily plastic about Cavill; he never quite clicks. This is about as subjective as takes come, but I just don't buy him when he has to, you know, act. So, why all this punching, leaping, zooming, and running? You had to ask, didn't you? As is often the case with M:I films, the plot is an inscrutable mishmash of crosses and double-crosses that probably makes sense if you whip out some graph paper, but who has time for that? (Has there ever been an Impossible Missions Force that wasn't riddled with moles?) I tell you this, in all honestly: it doesn't matter. Some baddies have stolen three nuclear reactors that look like giant Nespresso pods. 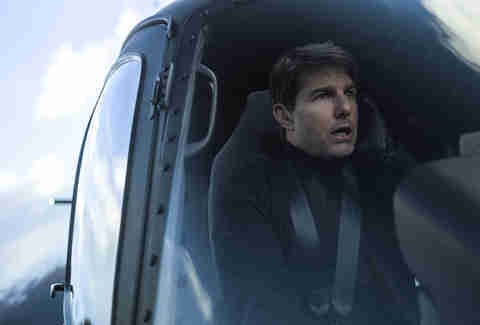 Ethan Hunt, with the aid of the people he trusts, will get them back. No obstacle like physics or common sense or the natural exhaustion of the human body is going to stop him. In addition to Nespresso-nukes there's some other ridiculous tech. No rubber mask could ever look as good as they do in the Mission: Impossible movies, and those voice changer band-aids on the larynx just don't make sense. And how does a tiny bud buried deep in someone's ear canal pick up someone's voice? These guys can shout "Watch your six!" while dodging bullets and sound crystal clear. It's annoying -- at first. And then, you remember, it's a movie. And then you realize, it's actually the best mainstream movie of the summer. Jordan Hoffman is a movie critic for Thrillist. Follow him on Twitter @jhoffman.